Very cool. Do you know how much the whole thing weighs? It looks like a very light weight structure, are there any issues with flex or collimation shifting now that you have the mirror mount fixed? Your 8" is on an equatorial mount I believe. 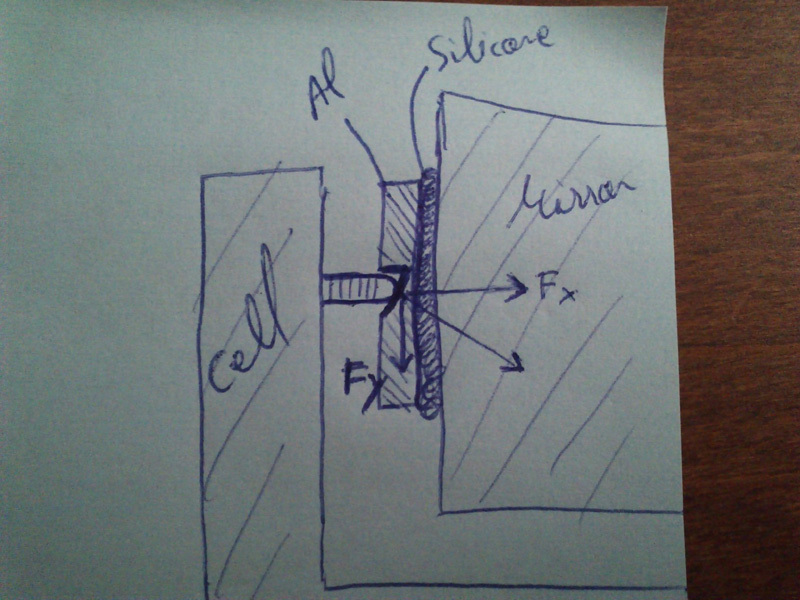 Could you supply some detail of how you secure the mirror in the cell to minimize movement? Topher: The telescope is about 24Kg, with finder, CCD (Minicam5F), cable and sheath, prepared for astrophotography. I used it all night yesterday and I have not had any problems collimation. 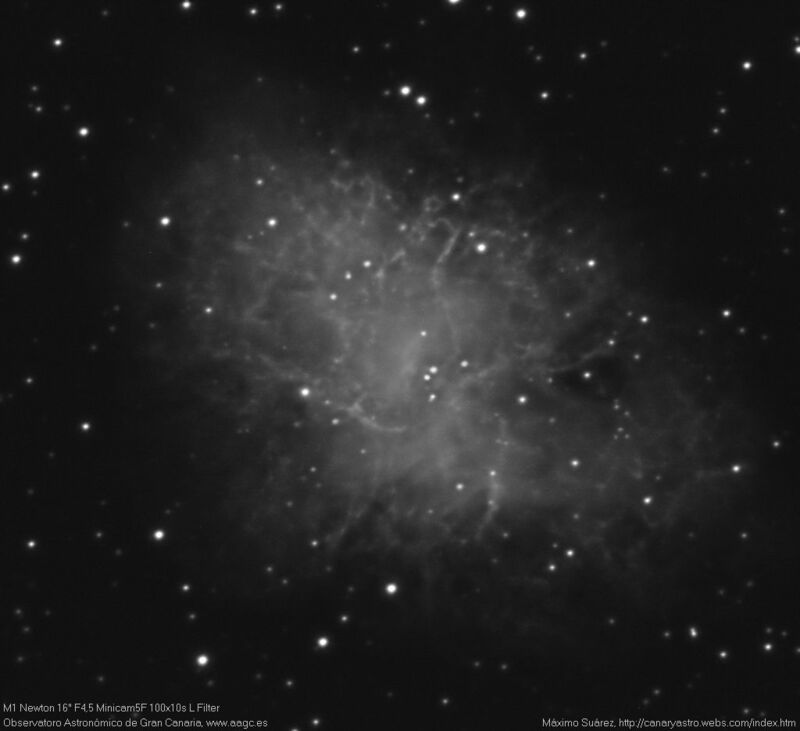 Flexion I can not say anything because it was my first time with EQ8 and must have a parameter misconfigured since monitoring always derived westward as if the sidereal rate was accelerated, it's no problem telescope also occurred with another telescope. Tom: in my other telescope 8", the mirror has no top locking catches. They are by the contour of the primary mirror, the screw is embedded and exerts force on a piece of aluminum having an inclined recess so that the force that is transmitted screw down, preventing it from lifting. The silicone absorbs much of the force and does not cause deformations in the mirror, it is not necessary to apply much force to hold the mirror in place. Maybe a little picture. Edited by CanaryMax, 10 February 2016 - 07:25 AM. I see...yes the sketch helps a lot. Thanks! 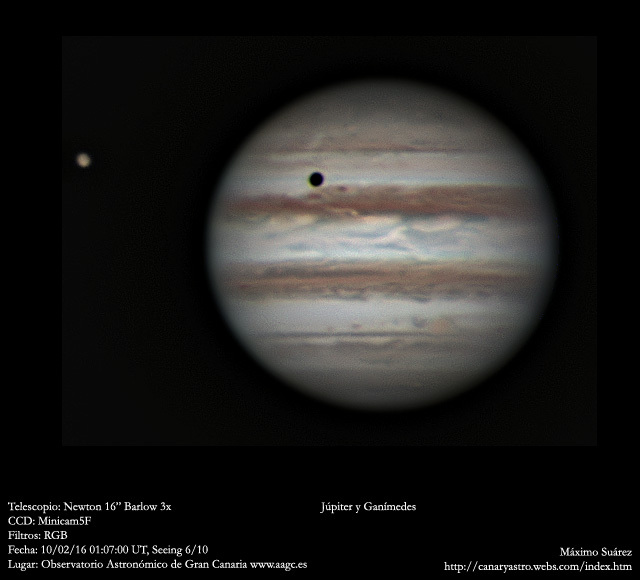 First light in planetary, seeing 6/10, looks good. What a beautiful scope! Doesn't look like there will be any cooling problems. The conical mirror has so many benefits. I was sorry to hear about the soft silicone problem. How did you fix it? I removed the silicone hollow primary mirror and I filled with epoxy resin but leaving a small gastket of 2mm between the resin and mirror, this gasket 2mm filled it with an elastic adhesive, Sicaflex. It is a very strong glue that keeps the mirror in place even tilt, but also elastic and absorbs the expansion of the mirror and the center piece of aluminum. 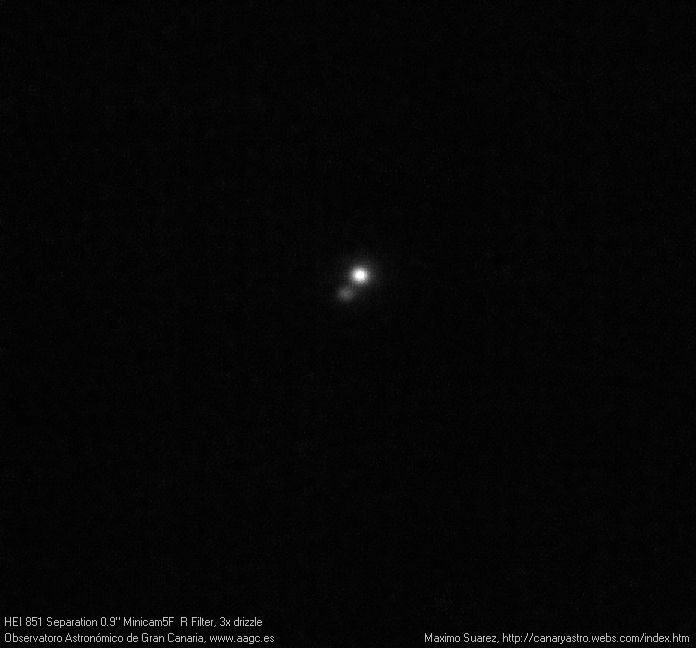 HEI851 Binary Star Separation now is 0,9". Great images, superb build! I am starting on my 16" lightbridge to carbon truss-like tube conversion soon. Nothing as fancy as yours! dcornelis: The Canary Islands are synonymous with good skies, but I can assure you is not always the case, where is located the observatory there are many problems of local turbulence and is rare excellent night to planetary images. Good luck with your 16 "
I can understand about the turbulence. I am opting also for a reasonably open tube, but make some kind of shroud to close it for deepsky. That M1 image is seriously good.